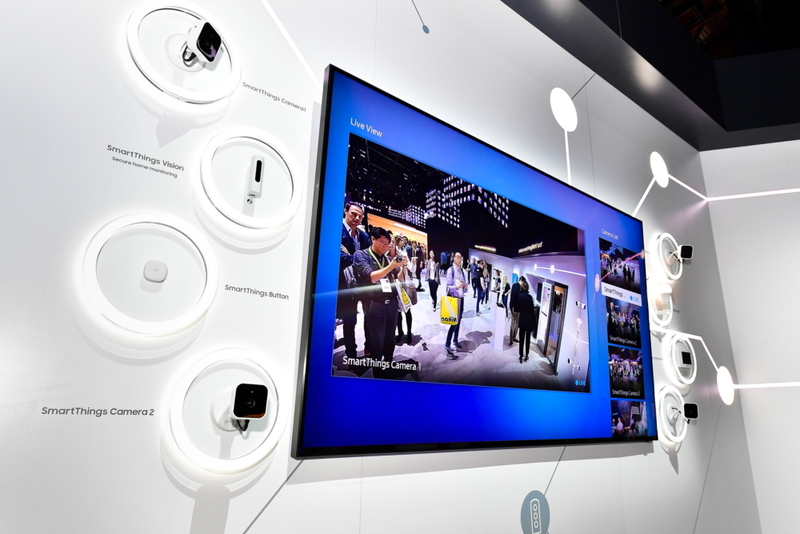 Showcased at CES 2019, Samsung’s 2019 Smart TVs signify the next stage in the evolution of intelligent displays, as the screen becomes a hub for content and device connectivity in the home. This year’s lineup builds on the innovations of previous years, including the Universal Guide and the One Remote Control, to bring an enriched experience to the home. Equipped with the new Bixby, a conversational AI platform, not only do the 2019 Smart TVs enhance your content experience, but they also widen the reach of connected living. Below are three key developments for Samsung’s 2019 Smart TVs that will change the way you think about content and connectivity at home. Samsung has expanded its partnerships to provide a greater variety of content to viewers in 2019. From Over The Top (OTT) and live TV streaming, to free channels and lifestyle media, a large range of content and services are now available to choose from. What’s more, in March a landmark partnership with Apple will come into effect, allowing iOS devices like iPhone, iPad and Mac to stream directly to Samsung’s 2019 Smart TVs via Airplay 2, without the need for Apple TV or an additional connection. 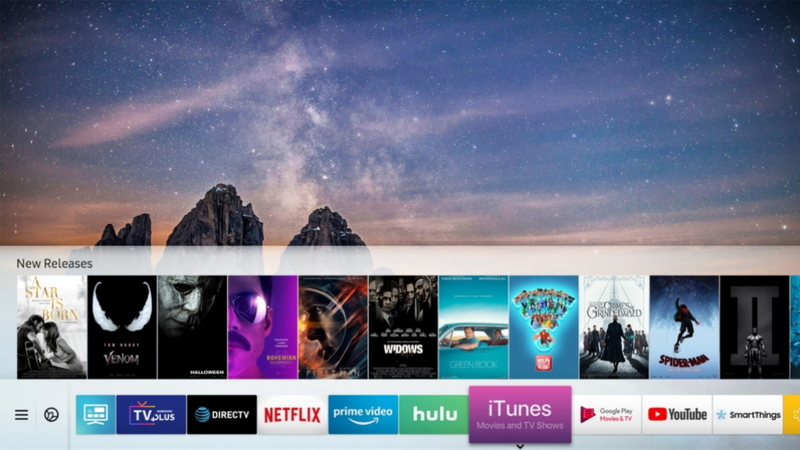 Samsung customers in over 100 countries will have exclusive access to Apple’s new iTunes Movies and TV Shows app on Samsung TVs when it is launched. With such a vast library of content, sometimes you need a little help finding just what you want to watch, when you want to watch it. The 2019 Smart TVs are equipped with an advanced Universal Guide that analyzes a user’s preferences and viewing patterns to provide personalized content suggestions. New Bixby is an AI platform that asks intuitive questions, encouraging sequential conversations to better understand what users have in mind. Just like how people get to know each other better through each conversation they have, new Bixby learns more about a user’s preferences from each interaction, so the AI platform can make informed suggestions about what to watch. New Bixby on Samsung 2019 Smart TVs also covers a wider range and can hear voices from a greater distance, so you no longer need to press the speaker button on your remote control to talk to the intelligent assistant. The seamless experience of searching for content with new Bixby is demonstrated on stage at the CES 2019 Samsung Electronics Press Conference. 2019 Smart TVs can act as a hub for the home, allowing you to control devices around the home with the SmartThings dashboard. SmartThings seamlessly connects and controls devices around the home, creating a comprehensive IoT ecosystem. Users can create automations that control devices or run scenes whenever certain conditions – such as the time of day, device status or the locations of family members – are met. For example, an air conditioner might turn itself off when open windows are detected, or a smartphone might switch on the lights at home when its GPS indicates that it is close by. Samsung’s 2019 Smart TVs can also strengthen home security systems. Whereas smaller displays can only show the feed from one CCTV camera at a time, this year’s Smart TVs have larger screens that can simultaneously display footage from several cameras, giving users a more comprehensive view of their security environment. Another key development for the 2019 Smart TVs is Remote Access control for peripheral devices. Remote Access can provide users with wireless control over connected PCs, laptops, smartphones and tablets, allowing users to remotely access their programs and apps on a larger TV screen. The feature works when the connected devices are both close at hand and in another room. 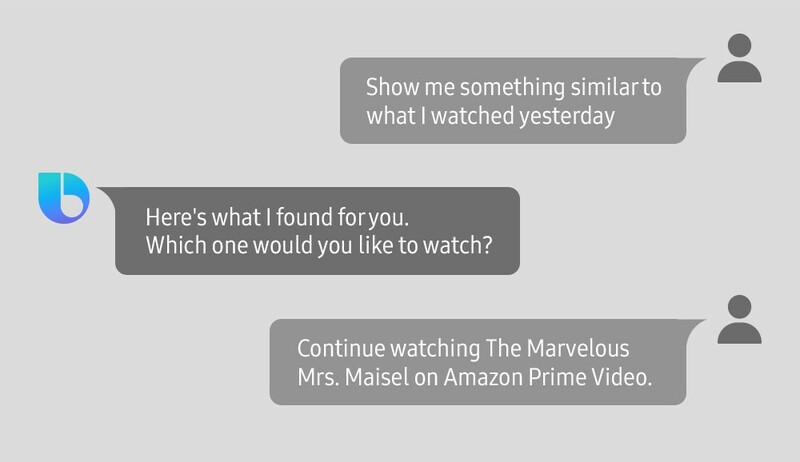 Thanks to their open ecosystem, 2019 Smart TVs are able to have seamless interactions with Amazon’s Alexa and Google Assistant. Users can navigate a range of simple operations such as turning the power on/off, controlling the volume and changing channels all with their pre-existing voice assistant. Whether it’s by expanding content partnerships, enhancing AI capabilities or strengthening device connectivity, Samsung is committed to providing users with individual personalization and tailored services for its Smart TVs in 2019.